Hand-Eye Coordination – Kids have to use their coordination in order to get the pieces to fit together. Language Skills – By working with others, kids discuss shapes and ask for certain pieces. Fine Motor Development – Maneuvering puzzle pieces around can really build up the tiny muscles! Cognitive Skills – Children practice their memory skills while completing puzzles. They are also working on following directions. Problem Solving Skills – Every puzzle allows a kid to solve a problem, one piece at a time. Math Skills – Kids identify patterns and shapes while working on puzzles. Spatial Skills – Many studies have found kids who work on puzzles at a young age do better on spatial reasoning as they grow older. It shouldn’t be a big surprise since puzzles have kids flipping, sliding, and turning to find the right fit. Social Skills – Puzzles often bring groups together. Kids can talk, ask questions, and share with each other while working as a group. Confidence – Maybe most importantly, finishing a puzzle can bring a kid a great sense of accomplishment and something they can be proud of themselves for! 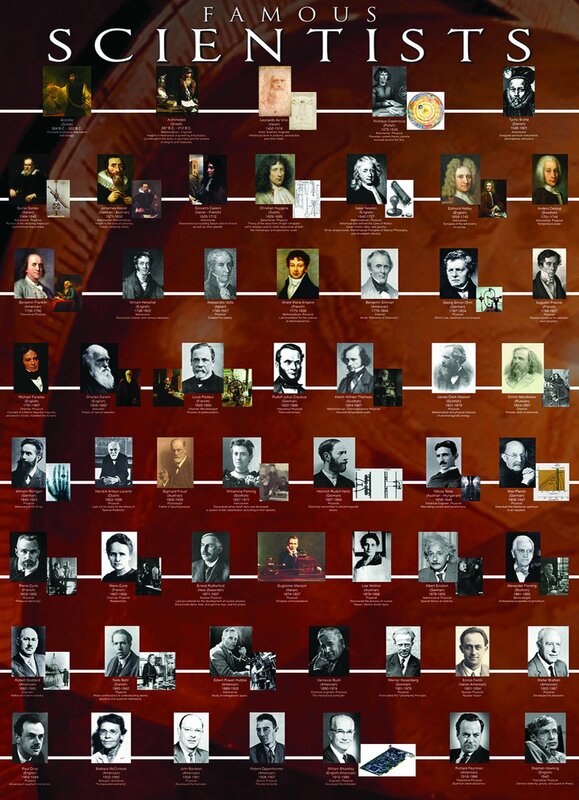 Famous Scientists – Over 50 scientists, including Archimedes, Einstein, Curie and Darwin are featured along with their nationalities, dates, areas of expertise and notable achievements. The Genius of Leonardo da Vinci – Leonardo da Vinci has been inspiring scientists and artists like no one else ever did in man history. 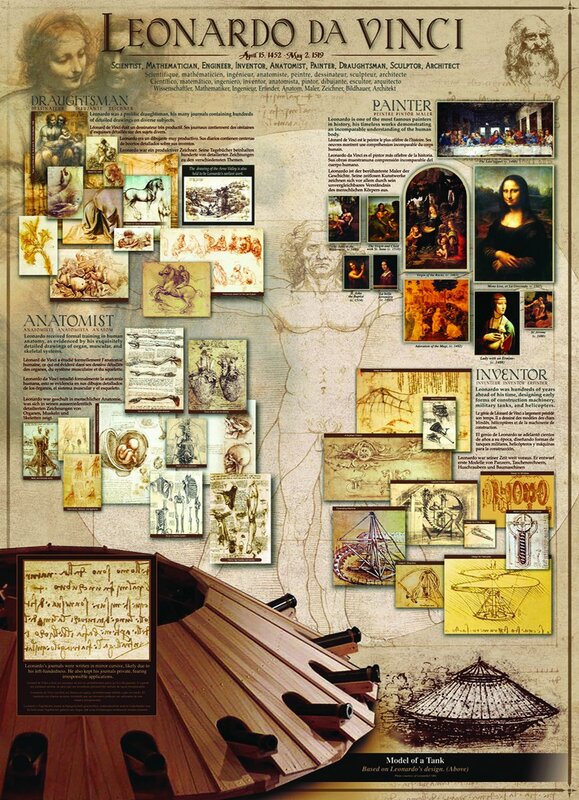 Discover the many talents of da Vinci: the draughtsman, the painter, the anatomist and the inventor. 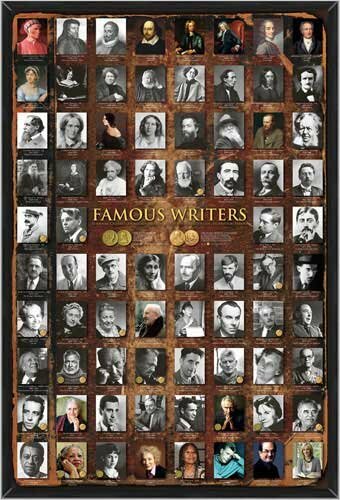 Famous Writers – William Shakespeare, Agatha Christie, Mark Twain, Margaret Atwood, George Orwell and Stephen King are names that will live forever in their writing. 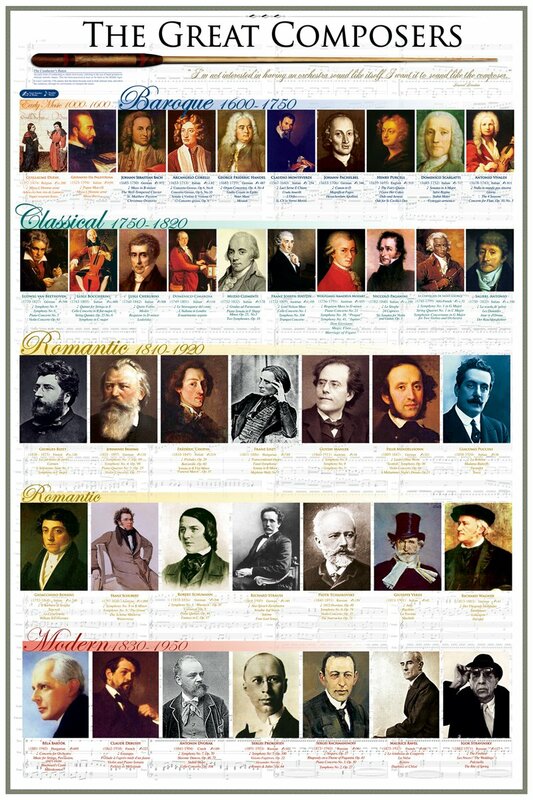 The Great Composers – Featuring over 40 great music composers from baroque, classical, romantic and modern eras, along with details about each and their most celebrated masterpieces. Evolution The Tree of Life – Charles Darwin sketched the branches of a tree in one of his notebooks to illustrate the idea that all life forms branched out from a common ancestry. 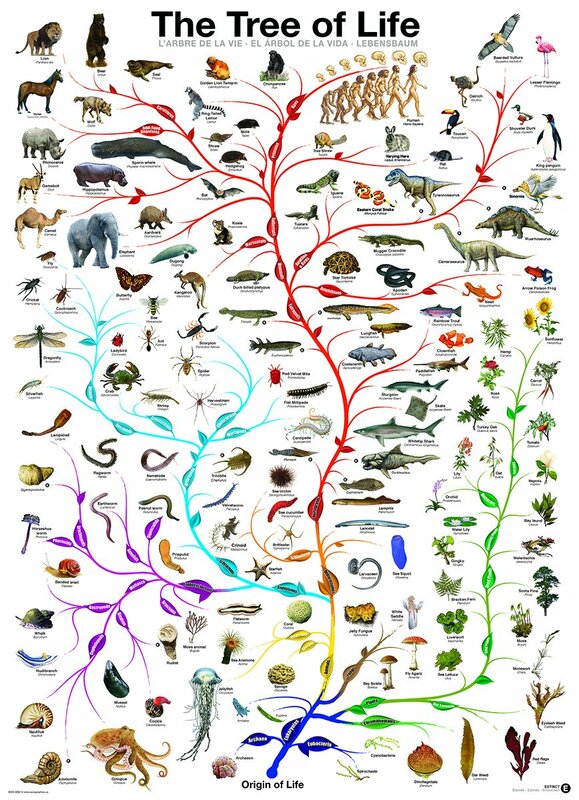 Since then the tree of life image has persisted as an aid to understanding evolution. 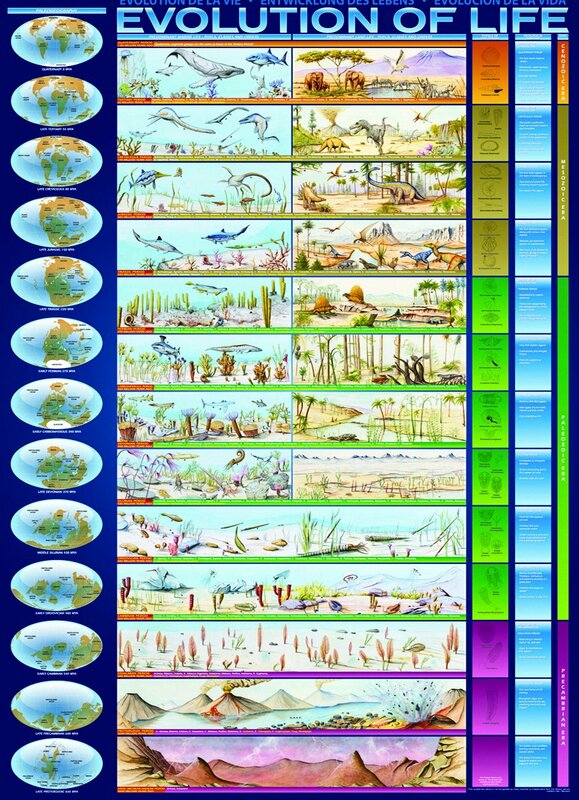 The Evolution of Life – From the precambrian era (4600 million years ago) to the cenozoic era (1.85 million years ago), learn about the evolution of life through landscapes, fossils, geological timeline and geographical configuration. 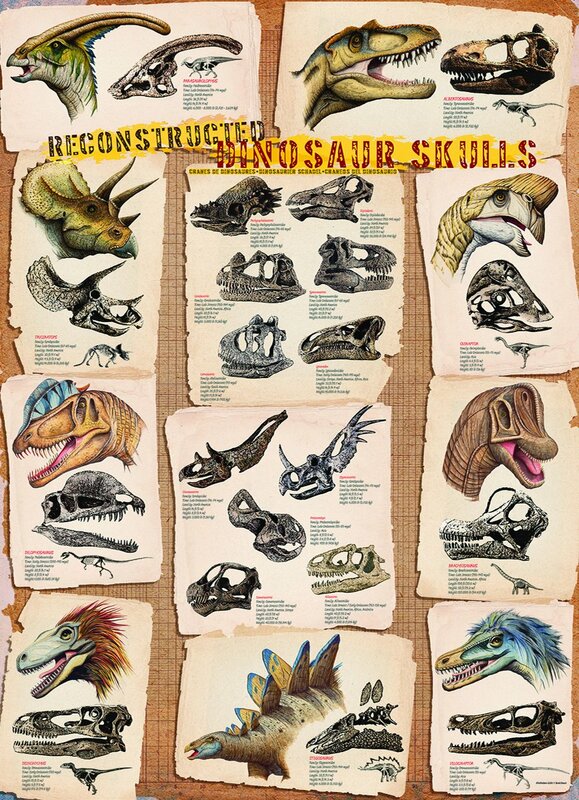 Dinosaur Skulls – A fascinating look at the skulls and faces of some of the most well known dinosaurs such the Stegosaurus, Tyrannosaurus and Brachiosaurus. Vital information such as family, time period, locality, length, height and width are included for each dinosaur. 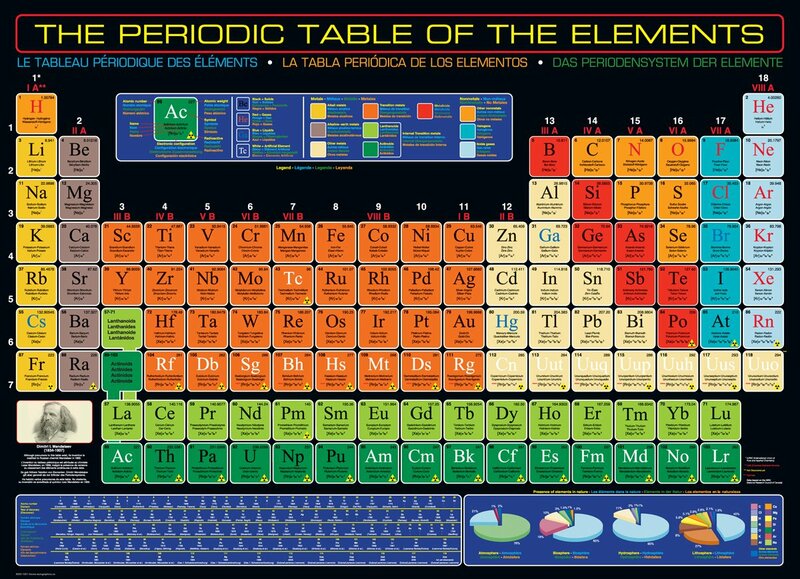 Periodic Table – The complete illustrated periodic table of the elements, now in a fun and colorful puzzle format. 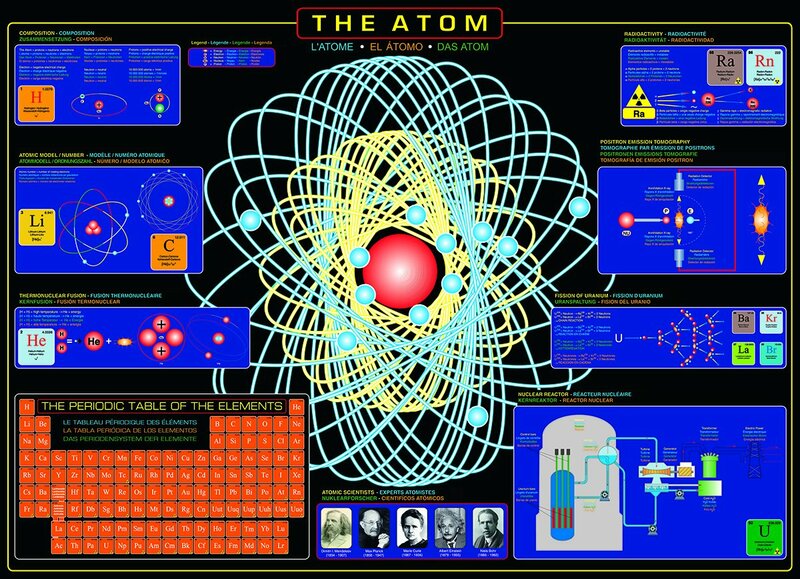 The Atom – The building block of our world is explained in detailed diagrams, basic scientific data and historical background. 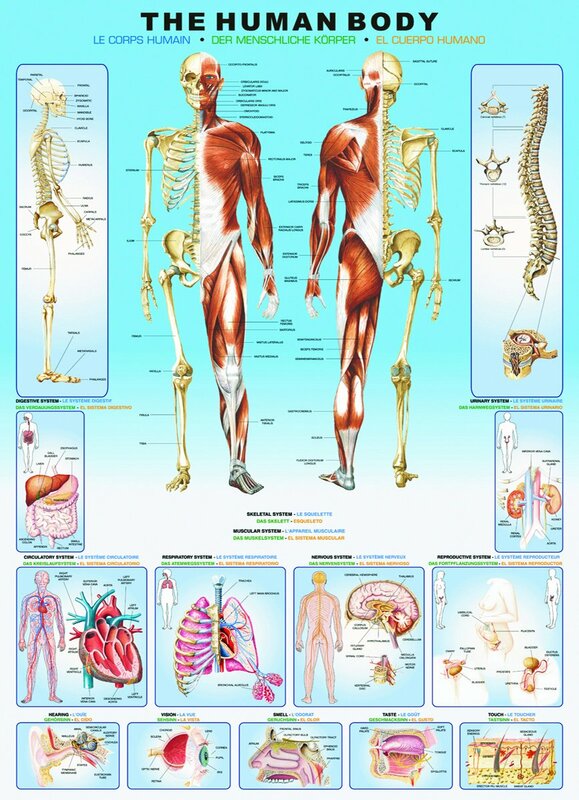 Human Body – Beautifully illustrated and labelled, this puzzle includes all the major biological systems such as circulatory, repiratory, nervous, reproductive and more. Strong high-quality puzzle pieces. 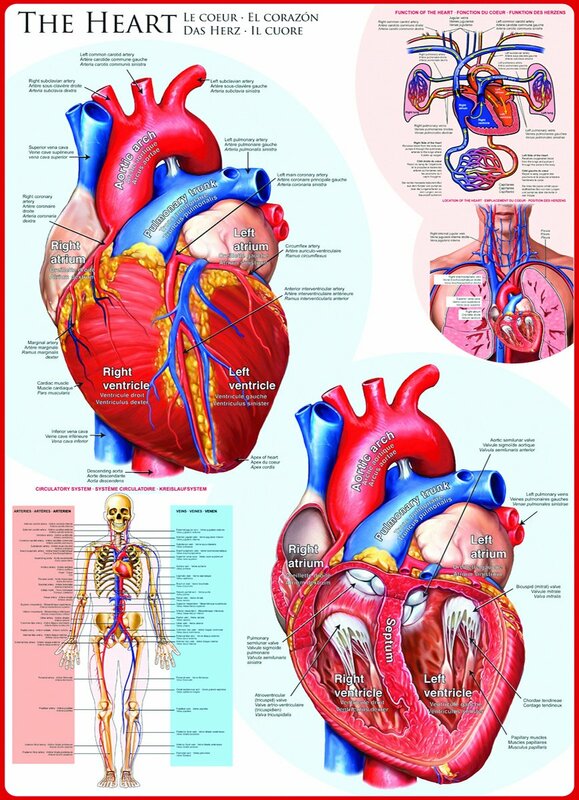 The Heart – The heart is the engine that brings blood and air everywhere in our body. Brain – The human brain is a complex and fascinating part of our anatomy. 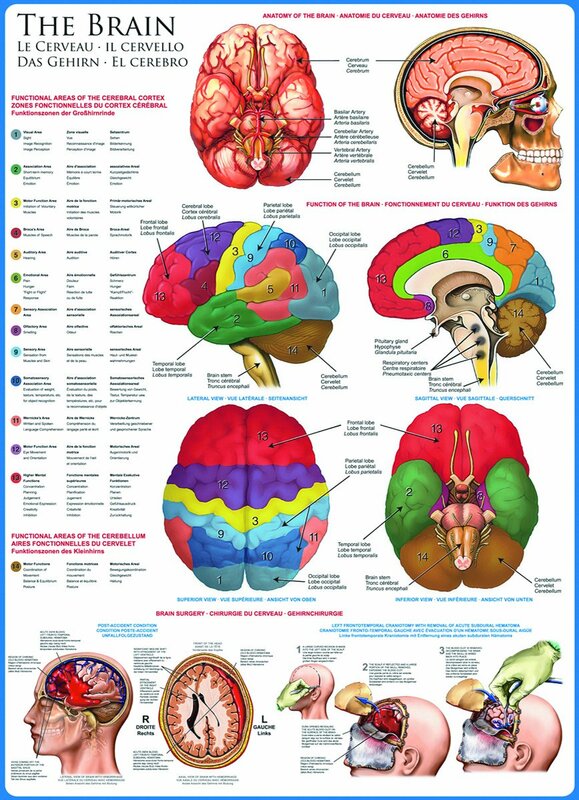 Learn about the different regions of the brain and about brain surgery. 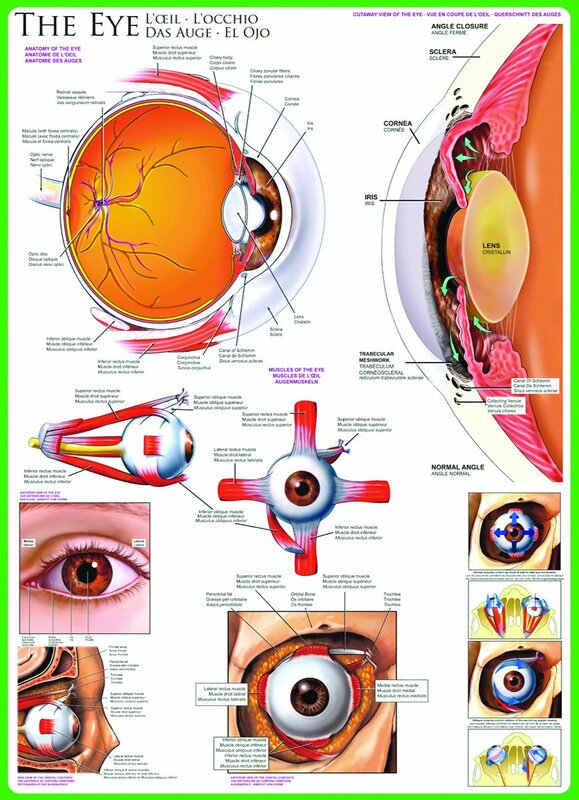 Eye – Anatomy of the eye. 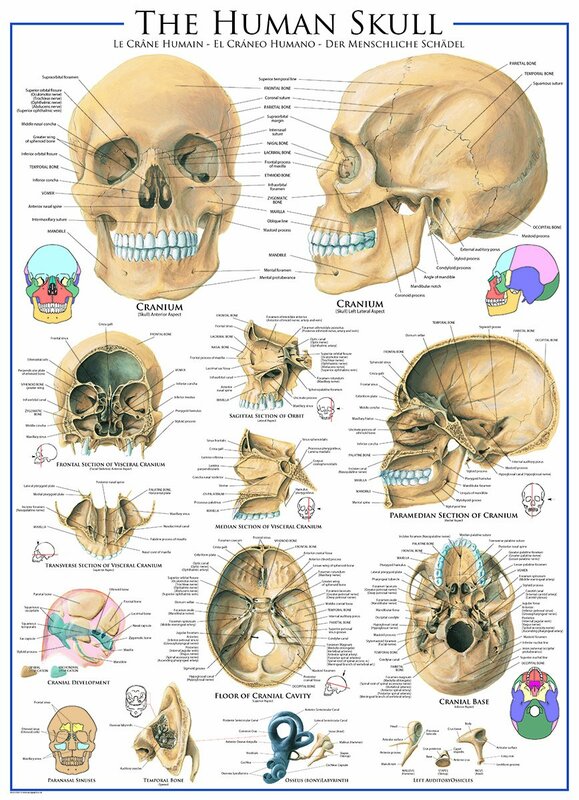 Skull – Features details of the skull and bone structure. 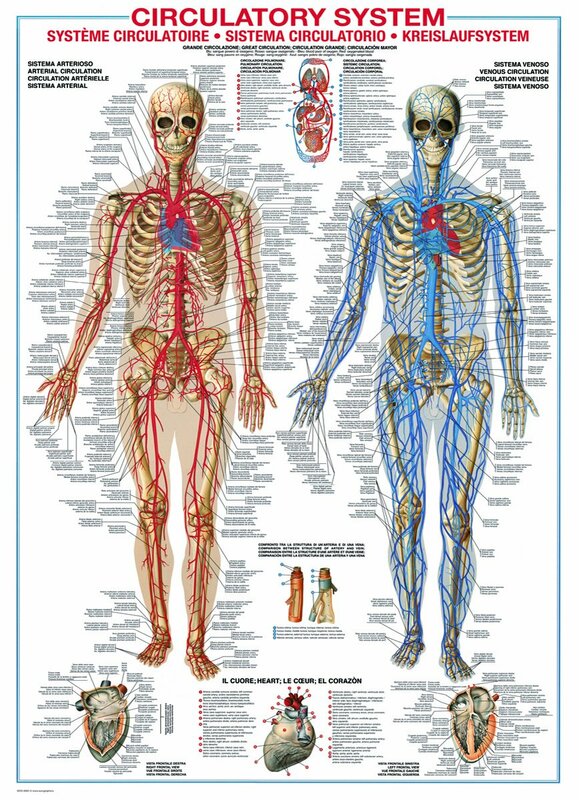 Circulatory System – The circulatory system is an organ system that passes nutrients, hormones, blood cells, etc. to and from cells in the body to help fight diseases and help stabilize body temperature. 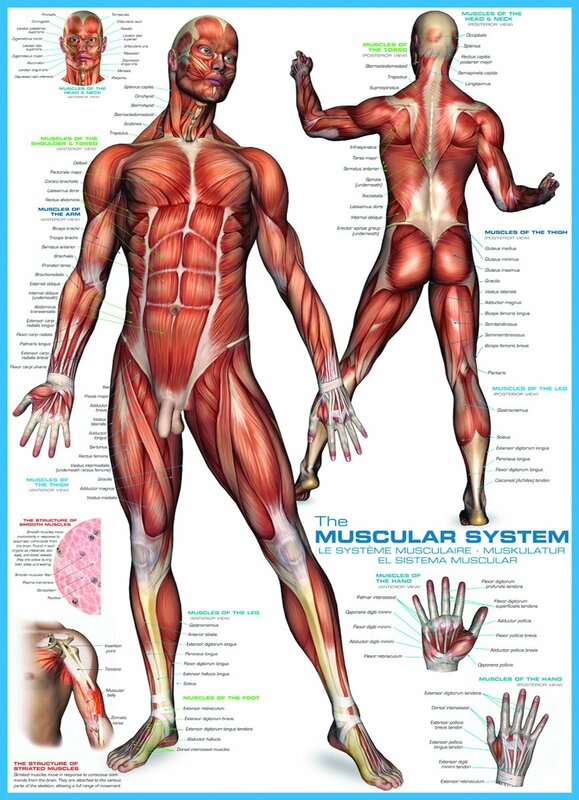 Muscular System – Learn about the muscles of the human body. 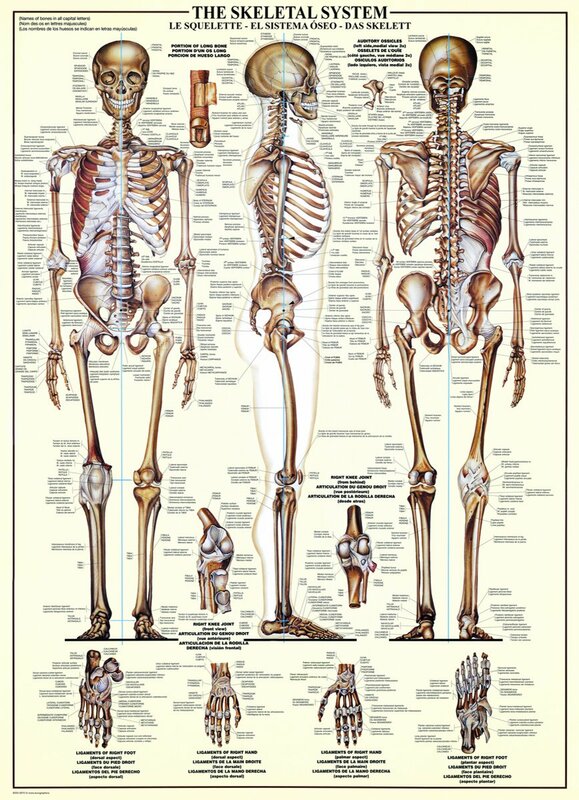 Skeletal System – Featuring the 206 bones of the human adult skeleton. 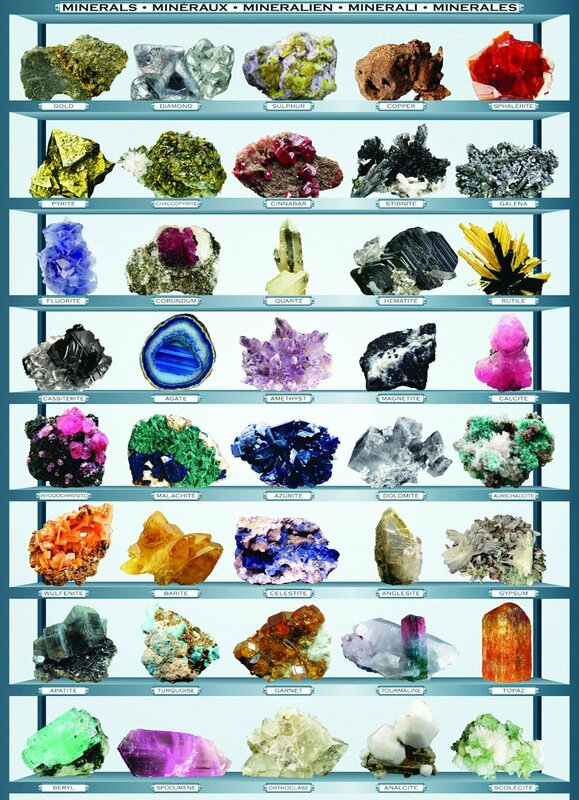 Minerals of the World – Of the approximate 4,000 minerals, each with their own characteristic chemical composition, highly ordered atomic structure, and specific physical properties, 40 of the most well known are illustrated. These include gold, diamond, sulphur, copper and quartz. Strong high-quality puzzle pieces. 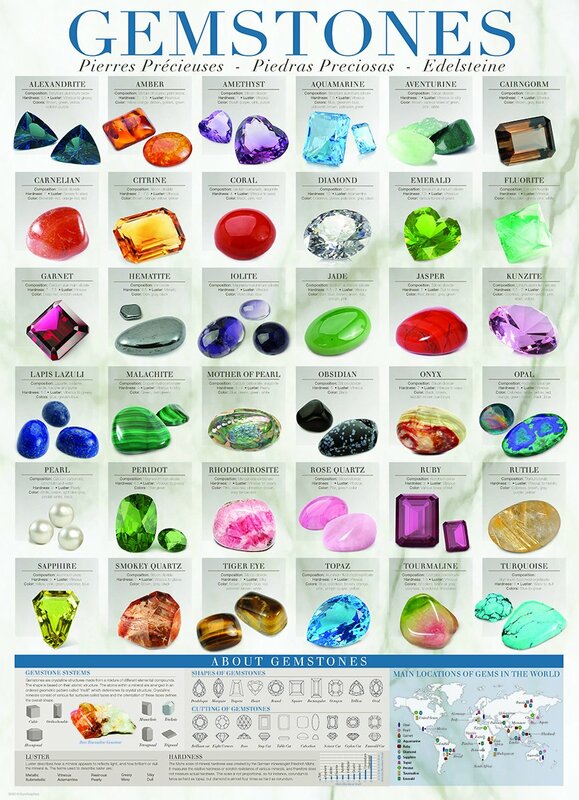 Gemstones – Featuring 36 precious gemstones with their composition, hardness, colour and lustre. 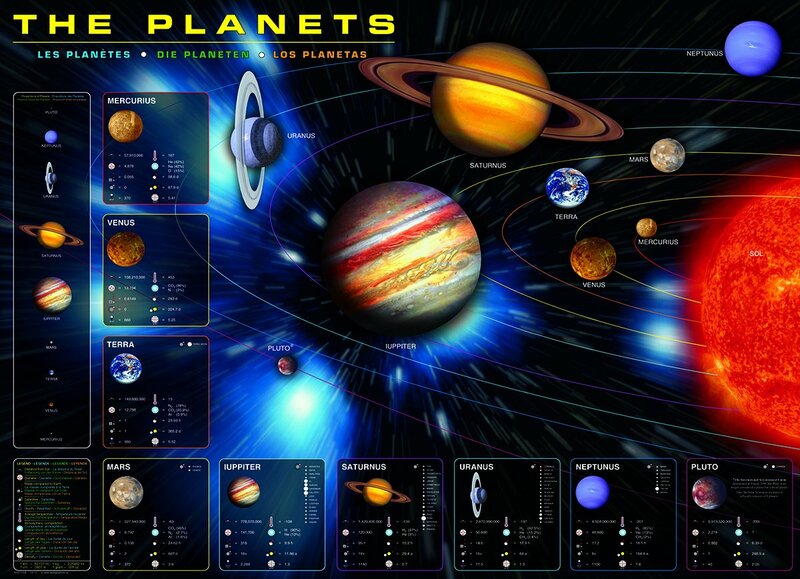 The Planets – A beautifully rendered image with scientific charts of our solar system’s planets, with full data on spin, distance from the sun, gravity and much more. 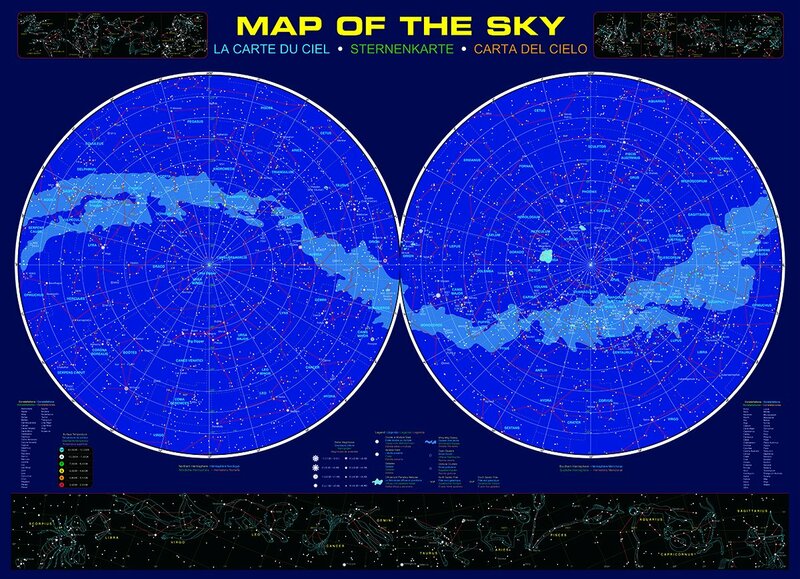 Map of the Sky – Images of The Northern and Southern Hemispheres include constellations, double or multiple stars, variable stars, galaxies, diffuse and planetary nebulae, Milky Way Galaxy, open clusters, globular clusters, North Galatic Pole and South Galatic Pole. 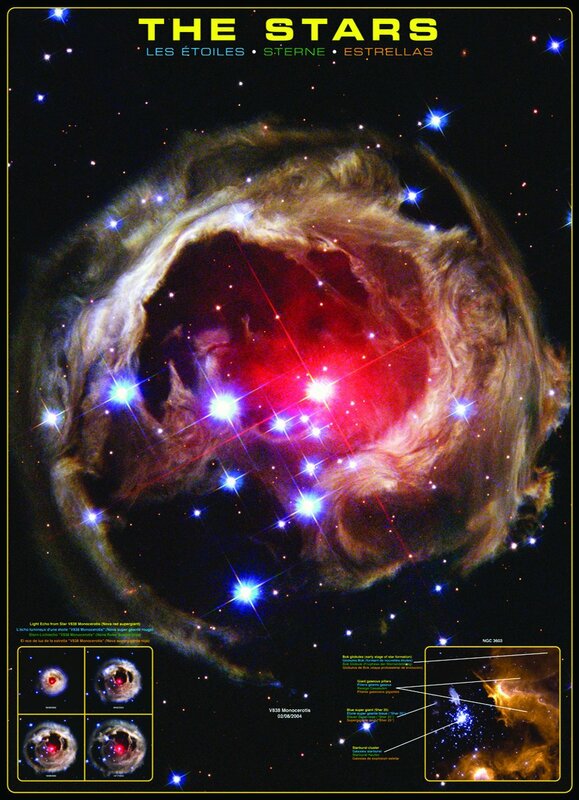 The Stars – A breathtaking image of V838 Monocerotis (Nova Red Supergiant). Includes bok globules (early stage of star formation), giant gaseous pillars, blue super giant (Sher 25) and a starburst cluster. 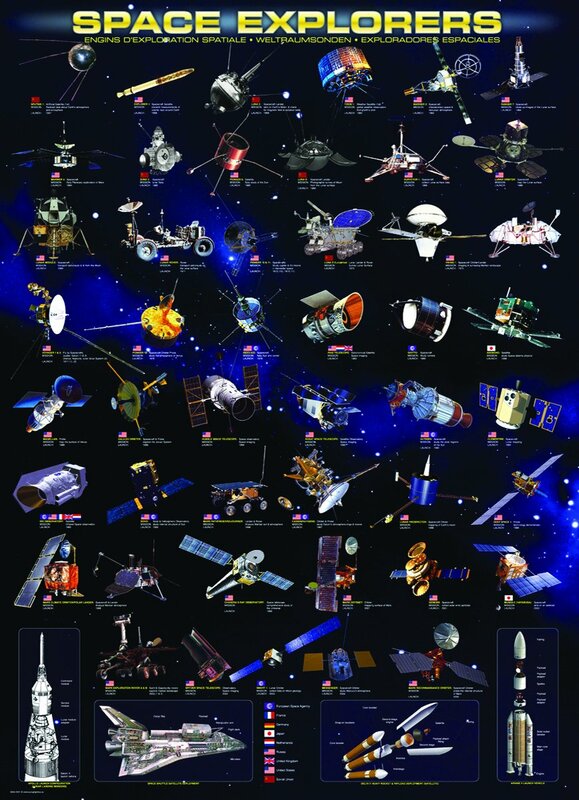 Space Explorers – Featuring over 40 space engines and explorers, this jigsaw puzzle will please any space exploration enthusiast. 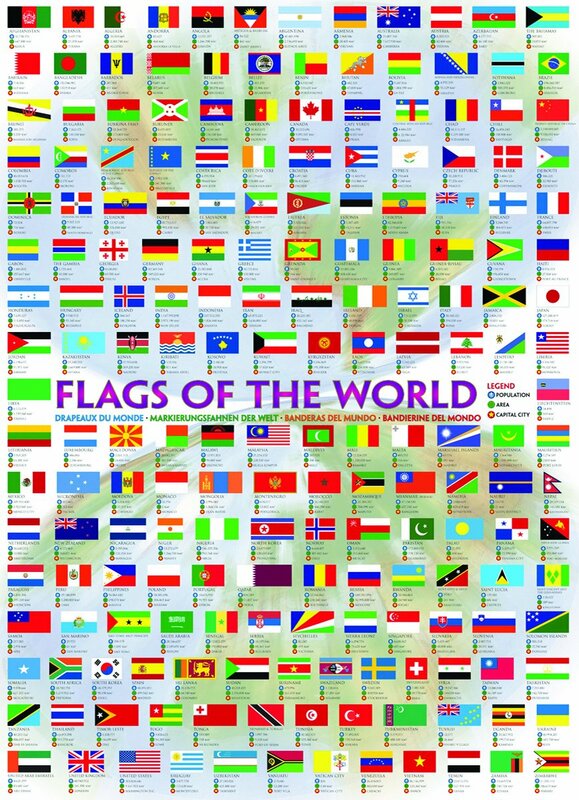 Flags of the World – From Afghanistan to Zimbabwe, this jigsaw puzzle features over 200 country flags. Vital information such as population,area and capital city are included as well. 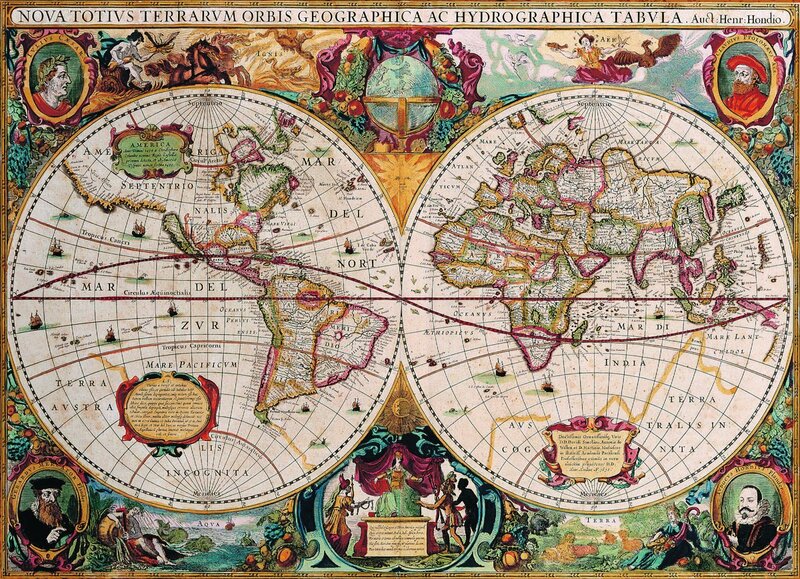 Antique World Map – This map was first issued in the Mercator-Hondius Atlas in the 1630 edition, in response to Willem Blaeu. Portraits of Julius Caesar, Ptolemy, Hondius and Mercator ornate the decorative borders. It features an early appearance of Australia’s Northern Coastline. Reknown for being one of the most beautiful world maps of the era. These 1000 piece jigsaw puzzles will require some serious scrutiny which will be sure to help the facts stick.